Size: 3 metres long x 5.5cm high. 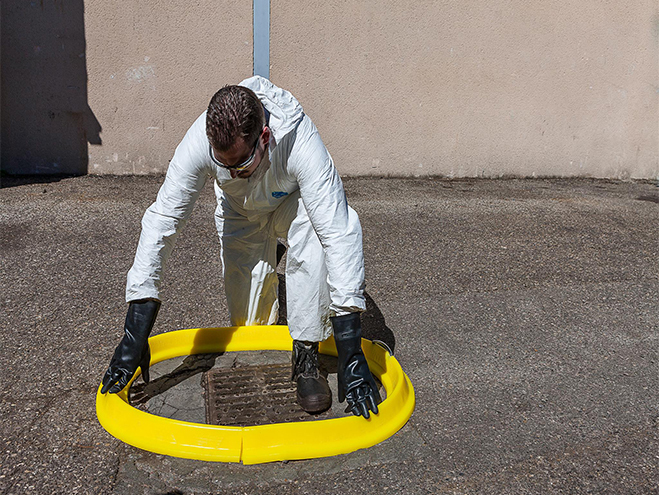 This product is a non-absorbent product and acts as a portable or mobile spill barrier to prevent liquids getting into sensitive areas. 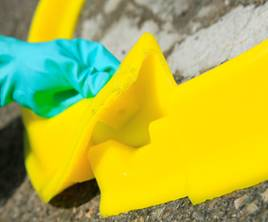 There are connectors available to join up the 3 metre sections.The SSI Spill barrier is fully reusable and it offers a very cost effective solution to deal with issues that arise in the event of accidental spillage. 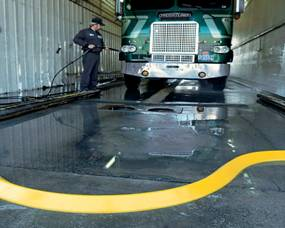 Below is a typical example of an oil spill and how the SSI Spill Barrier prevents the oil from spreading. Each spill barrier is 3mtrs long. If the area involved requires a longer length then a connector is used to join up the sections.